It’s coming. You can’t stop it. But you can leverage it! Black Friday is almost here. The ultimate shopping frenzy is about to begin, and there’s a lot to do – organize the product displays, schedule who will man the checkout lanes, etc. Here are ten tips from Francesca Nicasio, blog writer for Vend, to help you make the most of your store’s Black Friday. You can read the full article here. 1. Make sure your store looks extra special (regardless of whether you’re participating in Black Friday or not). Even if you’re not actively running Black Friday deals, it’s important to keep your shop in top shape. This is particularly true if you have a physical store in a mall or shopping center with a big box anchor. 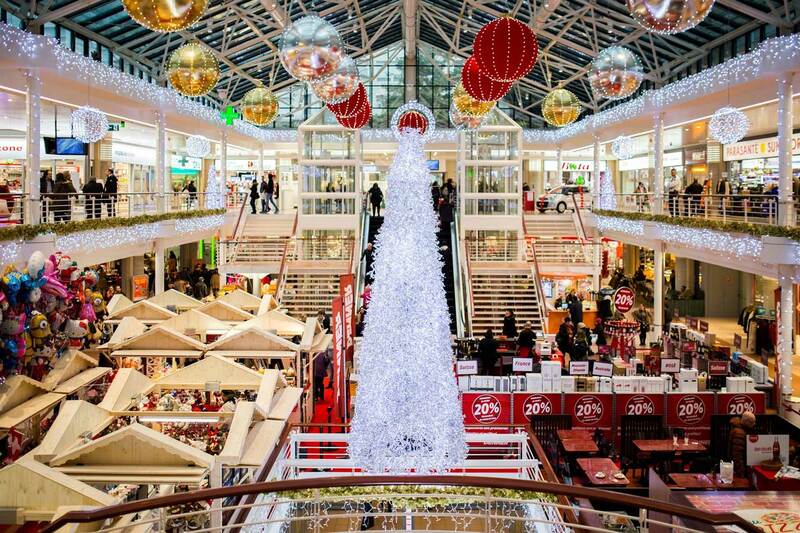 These venues see an uptick in foot traffic right after Thanksgiving, and some of those shoppers will end up in your shop. 2. Play to your strengths and don’t try to compete with big box deals. Trying to compete with the steep discounts of big box stores have will just eat up your margins. So, instead of attempting to match the prices and deals of retail giants, level the playing field by focusing on things that you’re good at. 3. Be strategic with your sales to convert more customers. Cyber Monday — which takes place online — will obviously be a huge deal for ecommerce. But did you know that Black Friday gets a significant amount of online traffic as well? This is true now more than ever. As Retail Dive reported in 2017, “Black Friday will be the busiest online shopping day in US history,” and will likely overtake Cyber Monday for the second year running. Generate buzz and excitement beforehand by posting Black Friday and Cyber Monday teasers online. Using social media is a great way to accomplish this, so get on the networks that your customers are using, and post sneak peeks of your offers. 6. Engage people after Black Friday or Cyber Monday. Online retailer Joyus did this last year and used an “after party” angle. “What’s a party without an after party?” they wrote in an email. 7. Boost results by teaming up with other businesses. Connect with other businesses with Black Friday or Cyber Monday initiatives and see if you can help each other out. You might consider doing cross-promotions or sharing the costs to market your offerings. Take TopShelf Style (now Isalis), an apparel store in San Francisco. On Cyber Monday in 2015, TopShelf ran an “UN-CYBER MONDAY SALE” in which customers would enjoy a Buy 1, Get 1 50% off offer by shopping in-store. If you’re not keen on blanket promotions but still want to do something around Black Friday or Cyber Monday, then why not be more exclusive with your initiatives? Reach out to your top customers and organize a private sale or event for them. 10. Consider other retail holidays. Whether you can’t get enough of retail holidays, or you’re not too keen on taking part in Black Friday or Cyber Monday, you should consider participating in sub-holidays like Small Business Saturday, Green Monday, and Giving Tuesday.